There are more and more articles online related to this campaign, and that’s for a very good reason … Everything began with a tourism marketing campaign worldwide based on… the banana. An initiative of the Ministry of Tourism of Ecuador has taken advantage of its main exported ressource to send a message worldwide through QR codes. With regard to tourism, Ecuador is a country little known despite of its natural, cultural, historic and gastronomic heritage, and to counter this situation it simply used its flagship product (Ecuador exports 24 million tons of bananas each year) as a advertising channel to promote tourism. 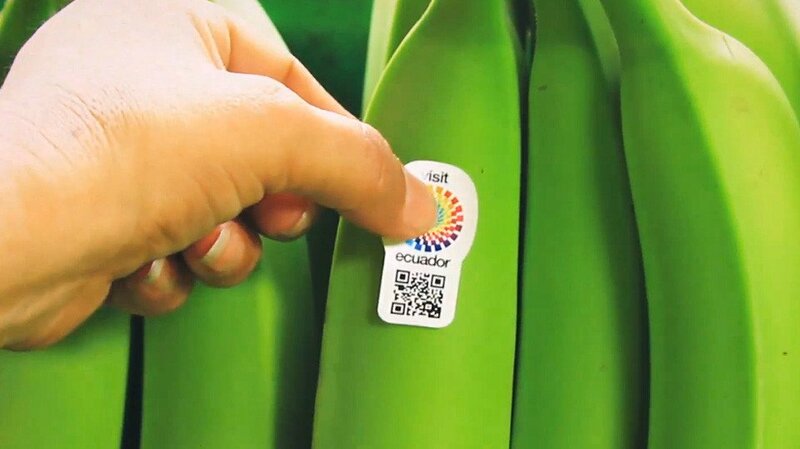 For this campaign, they have included a QR code sticker on every banana that leaves the country, so once in distant lands, mobile device users can watch a promotional video of Ecuador that showcasts what the country can offer to potential tourists from around the world. A mobile marketing campaign with QR codes that currently is one of the most ingenious and shows that a good use of this mobile media can bring a lot of value and effectiveness with minimal investment. Article plus récent Production Audiovisuelle pour Entreprises Article plus ancien Pensez en vidéo !